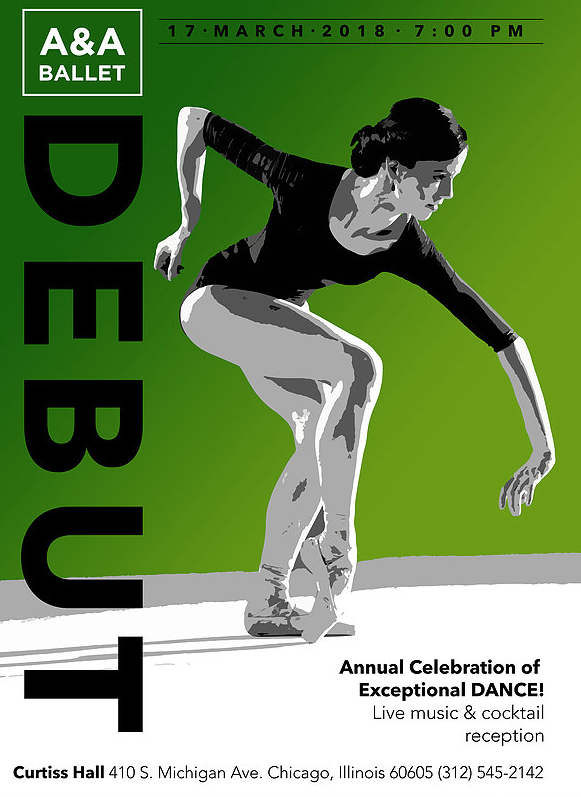 This St. Patrick’s Day, A&A Ballet plans to reveal the first-rate choreography skills of masters Alexei Kremnev, Nick Pupillo, Preston Miller, Justin Allen, Terry Marling and Madison Falconer at their 2018 “Debut”. The dance company boasts that this is a another year where “exceptional dance”will be celebrated. Chicago based band Spooky Generator is set to provide the live music alongside other promising entertainment (Red Clay and Ani Gogova), while Larisa Goldenberg is the elite event designer. In Paris is providing the delicious hors d’oeuvres at 6:30pm. Click Here learn more about A&A Ballet’s highly anticipated upcoming events. This entry was posted in Dance, Entertainment, News and tagged Alexei Kremnev, In Paris, Larisa Goldenberg, Nick Pupillo, Spooky Generator. Bookmark the permalink.